“Blue Star Sapphire,” diffusion treated, by gemsphoto. Licensed under CC By-SA 3.0. When we got engaged, we were very poor. My husband and I both saved up for the engagement ring. When the time came to buy, we thought we had “enough” on our meager Private E-1 salaries. We went in and discovered a world about which we just had no clue. We bought the simplest diamond ring, in a modest size, but went for the quality and cut. Ten years later, we added two trillion-cut diamonds, also modest, to complement the original stone. 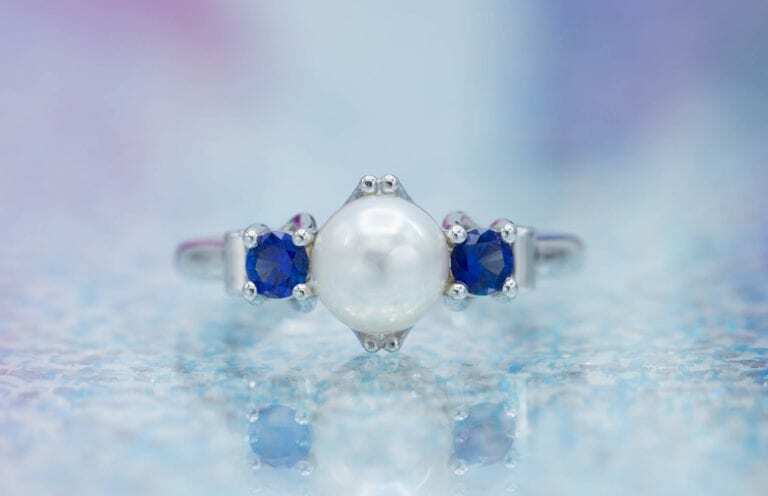 In contrast, my aunt had chosen a star sapphire for her engagement ring. She insisted on not wanting a diamond. The connection between diamonds and engagements rings was a relatively modern marketing invention, she said. My aunt paid particular attention to a stone’s provenance and didn’t want a gem tainted by illegal or unethical practices. However, we fell victim to the marketing. 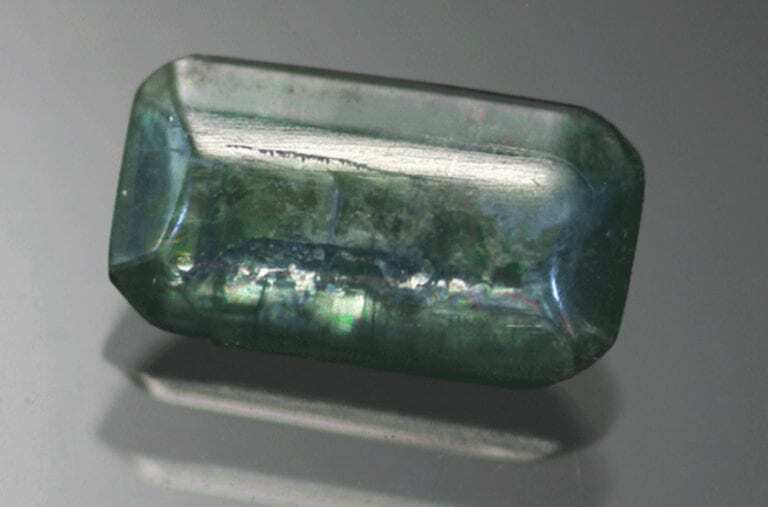 We never considered the depth of meaning colored gemstones could offer. Many years later, my husband returned from service in Afghanistan with a birthday present for me. As I sat on our porch in the golden light on a late Wisconsin evening, he laid a pillowcase over my lap, much to my amusement. Then, he handed me a small, fake velvet bag, the kind with a plastic interior, tied with a leather cord. I opened it. Three star sapphires, perfect ovals, slid out into my hand. They were gorgeous and caught the light in such a way that the legs of the stars practically glowed. One heavy and gorgeous stone was the size of my thumbnail. It looked alive. He dropped another bag in my lap. Out spilled a half-dozen sapphire gems of various cuts and colors. My eyes filled with tears. Another bag fell from his hands, this time with rubies, mostly uncut. Yet another bag held emeralds. By now, I could barely see through my tears. These indescribably beautiful gems sparkled under the porch light. I was holding a universe in my lap. In no way did my husband intend these gems to represent payback for time apart. These gems didn’t make up for the distance and drama of being geographically separated. Instead, every single gem had a story. We had the largest star sapphire made into a Mary Magdalene ring. 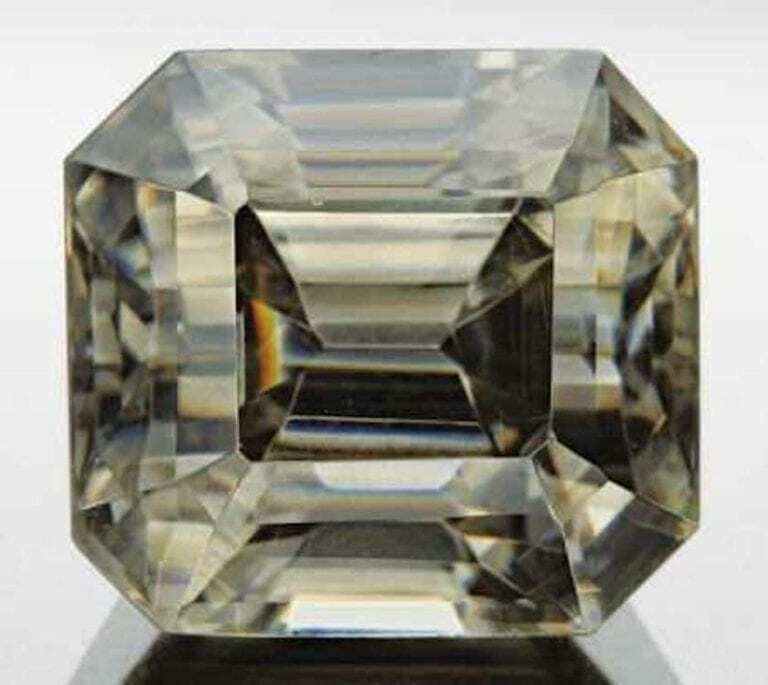 It has the sapphire in the center and seven yellow diamonds, in increasing sizes, the largest centered at the bottom. The diamonds represent the seven petitions of the Lord’s Prayer. I have no idea what I’m going to do with the two smaller star sapphires. Perhaps I’ll have them made into earrings to match. When we’ve saved enough money, I’ll have these gems made into a piece for our daughter. Two of them are cut, three uncut. None particularly match. They certainly suggest no patterns or designs. “Ruby Heart,” Jegdalik, Sorobi District, Afghanistan, perched on white marble. © Rob Lavinsky, www.iRocks.com. Used with permission. These emeralds, cut and uncut, will be for my son. Some of the sapphires had colors and cuts I’d never seen before. I had two purple ones, a peachy pink sherbet one, and greenish blue one. All were lovely, all cut. 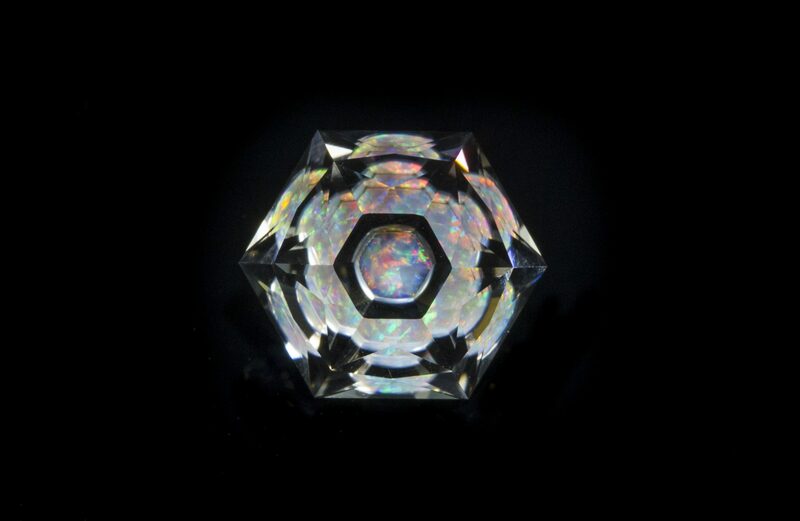 I later learned that the sherbet-colored sapphire round had a mesmerizing checkerboard cut. The purple squares were the prettiest, with wide, flat surfaces on top reflecting so much of the inside. 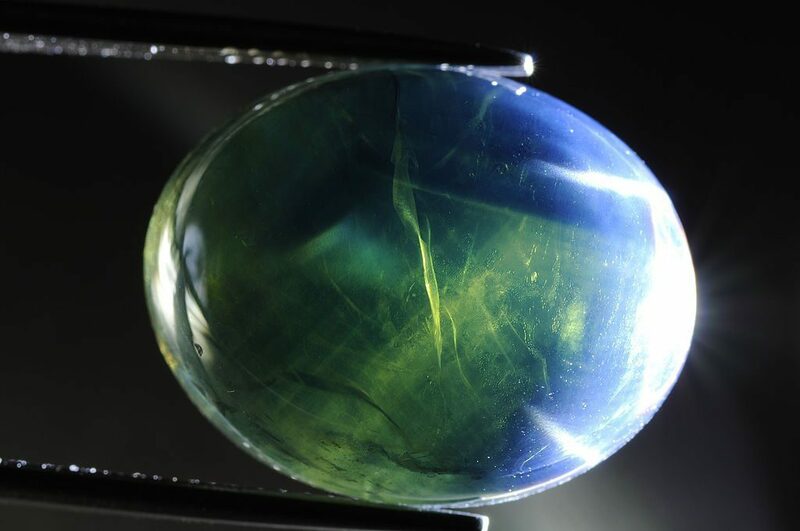 When the light hits a sapphire, it has an otherworldly quality. “Corundum Var. 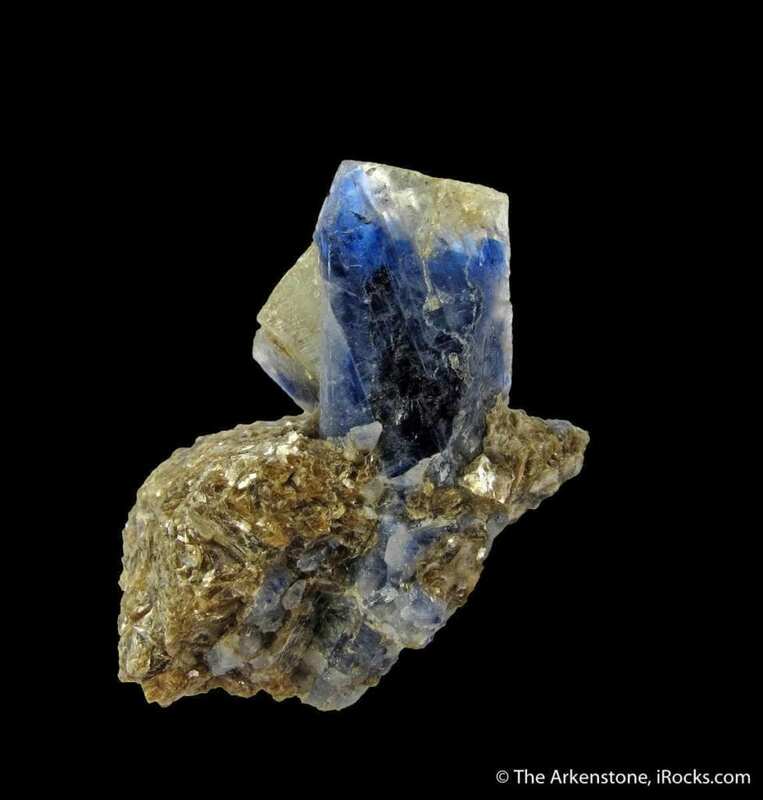 Sapphire,” twinned, Koksha Valley, Khash & Kuran Wa Munjan Districts, Badakhshan Province, Afghanistan. © Rob Lavinsky, www.iRocks.com. Used with permission. When my husband bought these jewels, he bargained and bartered mightily. He assumed the gems were either synthetic or enhanced. 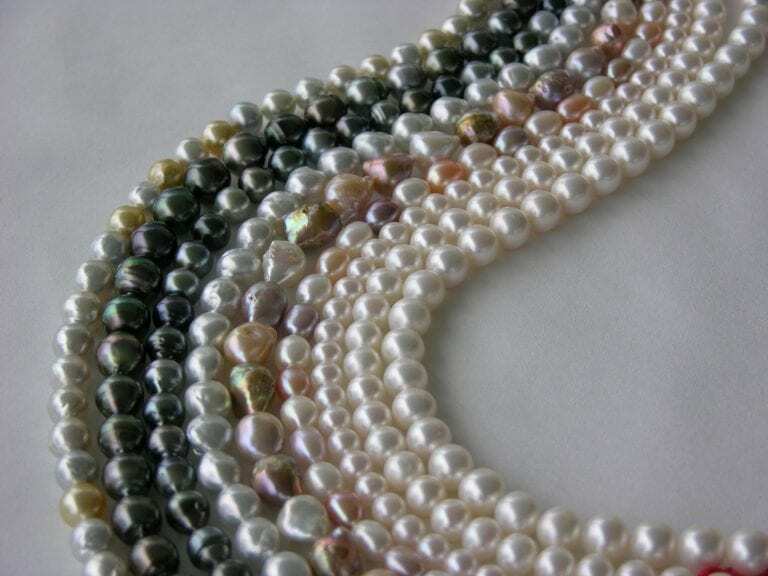 When we took the stones to a gemologist for identification, we learned that more than half were natural. 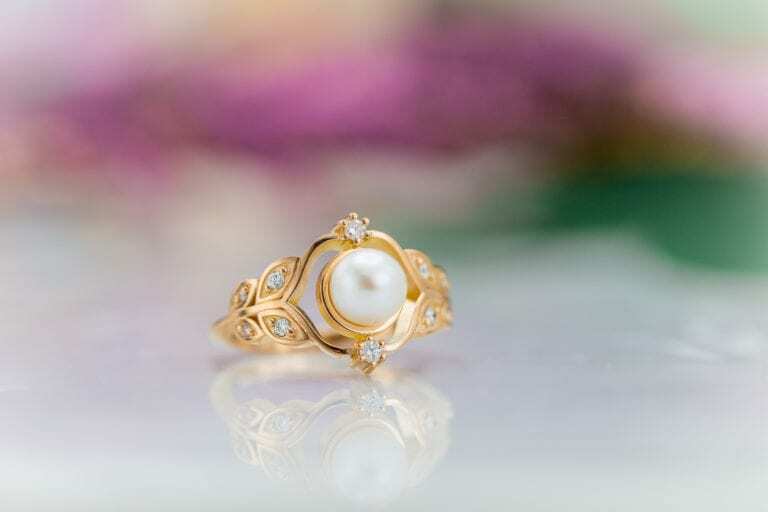 I’d like to have at least two made into engagement rings for my children, when they wish to get engaged. These family heirlooms will contain stories. They’ll remind us that the important parts of love can’t all be captured just with diamonds. Editor’s Note: Although this beautiful story has a happy ending, please note that while “more than half” of the gems the husband purchased in Afghanistan proved to be natural, something less than half did not. 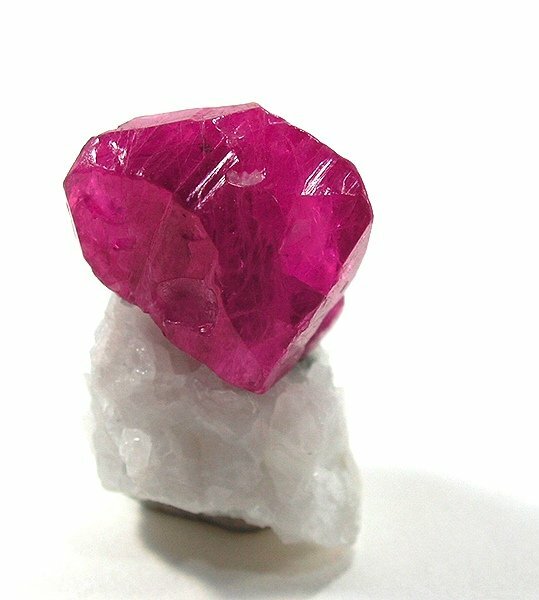 While some gem enhancements are acceptable in the gem trade, others, like ruby-glass composites, are not. Selling synthetic or simulated gems as natural gems is never acceptable. Always, buyer beware. For more advice on buying gems in Afghanistan, read Jeff Graham’s article on this subject.